The conflict in South Sudan began on Dec. 15 as a power struggle between President Salva Kiir and his former vice president, Riek Machar, ahead of 2015 presidential elections. 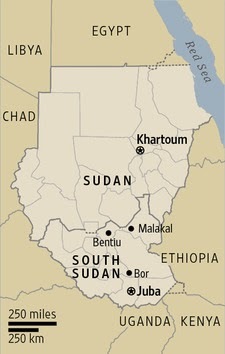 South Sudan broke away from Sudan in 2011 and there were repeated clashes with its neighbor over oil production and exports. But it quickly descended into clashes between the country's two largest ethnic groups, including fighting for control of oil-producing areas. Oil is South Sudan's major source of revenue so whoever controls it holds the key to power. These clashes make for little hope for a unified South Sudan. Before predominantly Christian South Sudan won independence from the mostly Muslim and Arab-ruled north, Mr. Kiir and Mr. Machar had been on opposing sides of the 1983-2005 civil war between the central government in Khartoum and the Sudan People's Liberation Army in the south. They made an alliance to win independence in 2011, but it disintegrated in the past 11 days. 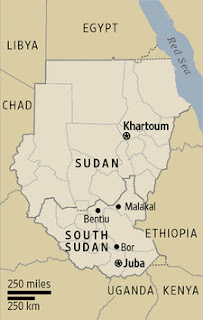 The two sides were fighting Wednesday in the oil-producing northern states of Unity and Upper Nile. Both sides think that they can win militarily. Both sides are overconfident as they attempt to deal the other side a decisive military blow. More than 1,000 people have been killed and tens of thousands have fled in fear of ethnic massacres since the fighting broke out. In Unity State, to the north, Nuer are accused of slaughtering ethnic Dinka.